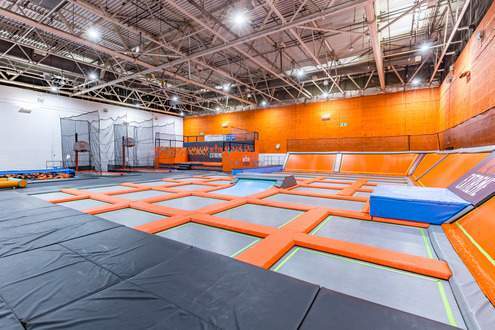 Our unique bounce arena has a mix of nine fun features, so there's something for everyone to enjoy. So what are you waiting for, pop in to see us and get ouncing! For more information or to book please click here. The Link Centre houses the international sized (26m x 56m) ice rink and provides an extensive programme including public skating, ice hockey, figure skating, ice dance and pairs skating as well as Learn to Skate courses and private lessons. 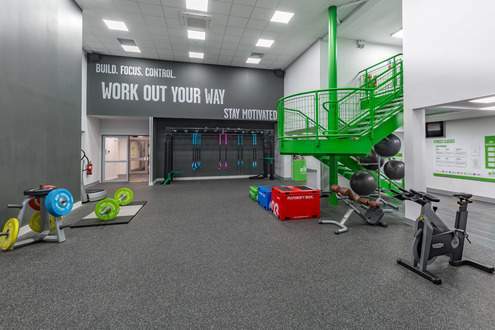 We have recently invested £1M upgrading and extending the gym to create Swindons premier fitness faciltiy. We have 140+ stations, 2 functional fitness areas, new Fitness Instructor led Let's Target gym classes and Technogyms latest Wellness Cloud technology. Our friendly fitness instructors are always on hand to help you meet your fitness goals from your initial induction through to refocus sessions we are here to help. We also offer personal training for those who want an extra push to overcome any obstacles. Come and take a tour today. 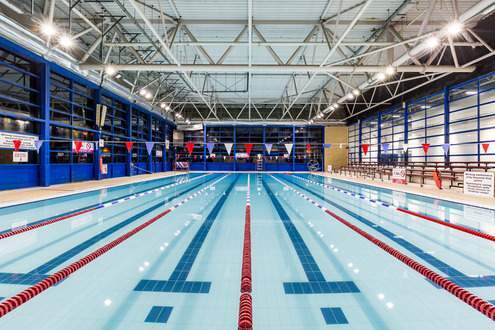 Our 25m deck level pool caters for a wide range of local swimmers and clubs, and hosts Wiltshire's County Swimming Galas. Learn to swim for fitness, join our water workout class or join our swim school lessons. Staying motivated can always be a challenge, but with a wide variety of fitness classes available across our Better leisure centres you'll find the perfect way to keep active. Upgrade your fitness level by taking part to one of our Les Mills™: RPM classes. A studio dedicated to Les Mills™: RPM fitness classes with over 30 bikes available just waiting for you. Challenge yourself in this extreme workout and burn more calories than ever in this intense cardio activity. Each class is 45 minutes and can be booked online, at reception or calling us at the centre. Please insure you book your classes online to guarentee your space. 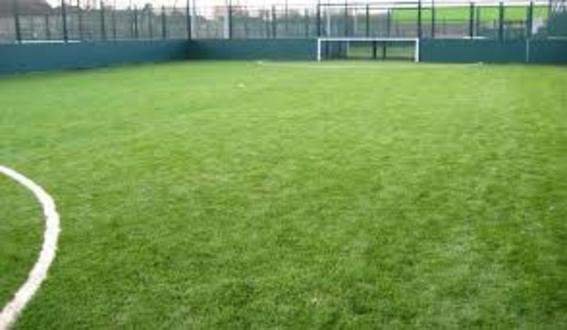 The three Third Generation 5-a-side pitches are built to the F.A Standard and with floodlighting are available whatever the weather. Available on the hour for 55 minutes playing time. 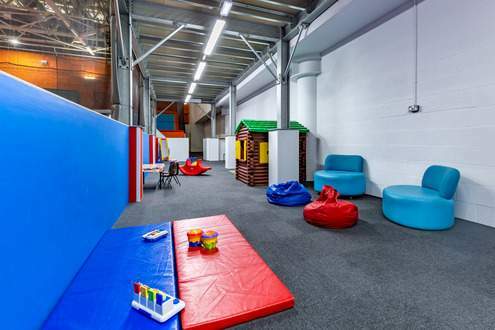 Our Crèche facility is now housed in a purpose built area in the Extreme Trampoline Park. Please check the website for holiday creche dates. This is ideal for parents/guardians that want to use the centre to work out or attend a fitness class or maybe a swimming session. Why not sit down and relax with coffee and cake in our Better Coffee Corner. Grab a drink whilst the children enjoy our Extreme trampoline park or chill out as they ice skate on our ice rink. The perfect place to refresh after a workout or just sit and catch up with the news using our free wifi. As a not for profit social enterprise we are committed to providing locally sourced, ethically produced products. 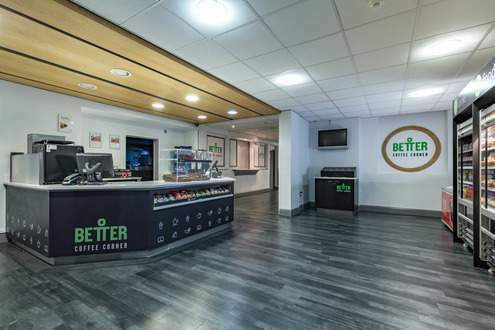 All of our paper products are made from recycled materials and every time you buy a hot drink from a Better Coffee Corner we will donate 2p of the cost to the GLL Sports Foundation - the largest independent athlete programme in the UK.